Late last year I got tapped by the good folks at Capstone Press to write a dinosaur book for their Mind Benders series for intermediate readers. Now it’s out. (In fact, it’s been out for a couple of months now, I’ve just been too busy with other things to get this post up.) Covers all the major groups and some of the minor ones, includes a timeline and evolutionary tree, 112 pages, $6.95 in paperback. Despite the short, punchy, 2-3 facts per critter format, I tried to pack in as many new findings and as much weird trivia as possible, so hopefully it won’t all be old news (facts chosen for the cover notwithstanding). 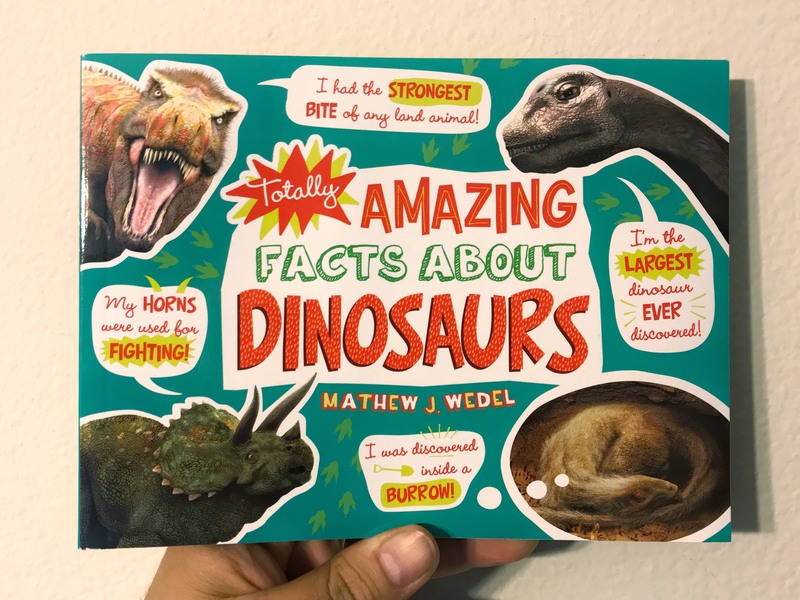 Suggested age range is grades 1-6 but who knows what that means; one of the best reviews that Mark Hallett and I got for our big semi-technical sauropod tome was written by a 6-year-old. Many thanks to my editors at Capstone, Shelly Lyons and Marissa Bolte, for helping me get it over the finish line and wrangling about a trillion details of art and science along the way. If you need a gateway drug or stocking stuffer for a curious kid, give it a look. Here’s the Amazon link (and for teachers, librarians, and my future reference, the publisher’s link).